Qwik Clamps effectively align small diameter pipes from 1” to 12” where the operator has no need to reform. This easy-to-use, tack-type clamp is suitable for use on stainless steel pipes without the need for extra shoes or screws. The Qwik Clamp is capable of adjusting pipe for hi-lo and aligning pipe, fittings, tees and flanges. Sawyer Mfg.’s Qwik Clamp is designed to easily align small diameter pipe from 1” to 12”. This easy to use, tack type clamp can be used on carbon or stainless steel pipe without special screws or shoes. The Qwik clamp adjusts pipe for hi-lo along with aligning pipe, fittings, tees and flanges. For quick alignment choose the Qwik Clamp. 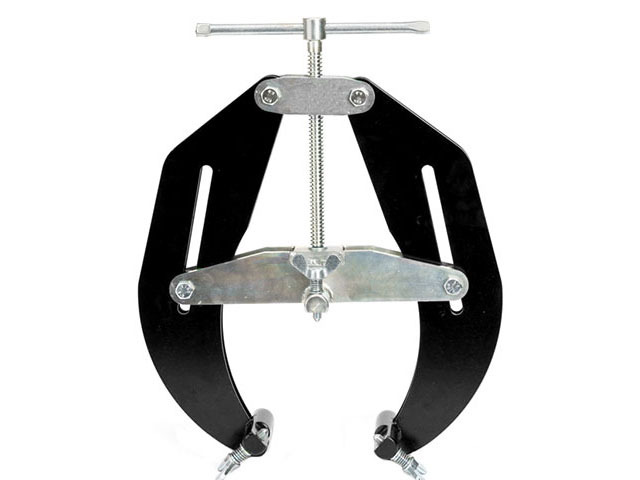 This external alignment clamp is available in 3 sizes. The Qwik Clamp is a cost effective solution to aligning small diameter pipes where the operator has no need to reform. These clamps can be used to align pipe to pipe, pipe to tee, pipe to flange or pipe to fitting and can also be used with a Hi-Lo Gauge and Spacing Wedge. The simple design means that no special training is required to operate the clamp and the lightweight materials enable the clamp to be used in environments where space is restricted. The clamps are suitable for use on stainless steel pipes without the need for extra shoes or screws.